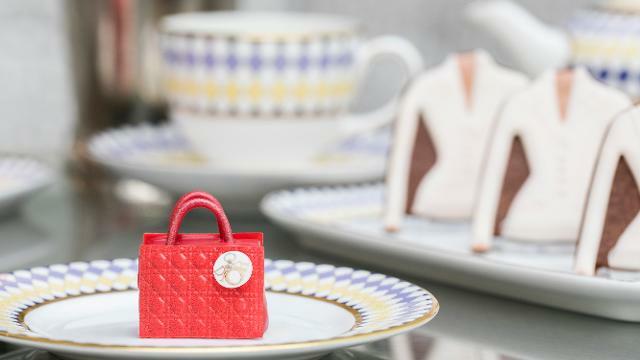 Fashionistas will love this stylish afternoon tea, which sees legendary Dior designs creatively crafted into cakes. Inspired by the V&A exhibition Christian Dior: Designer of Dreams, this afternoon tea transforms designer pieces into exquisite biscuits, bakes and fancies. The collection features a red velvet cake inspired by the Lady Dior Handbag, while a bottle of Miss Dior Eau de Parfum is reimagined as a lychee and raspberry cake. Your tea also includes a flavoursome collection of miniature savoury skewers, taster spoons, elegant canapés and tea sandwiches, washed down with a choice of loose leaf teas. Is Prêt-à-Portea: The Dior Couture Collection at The Berkeley your business?